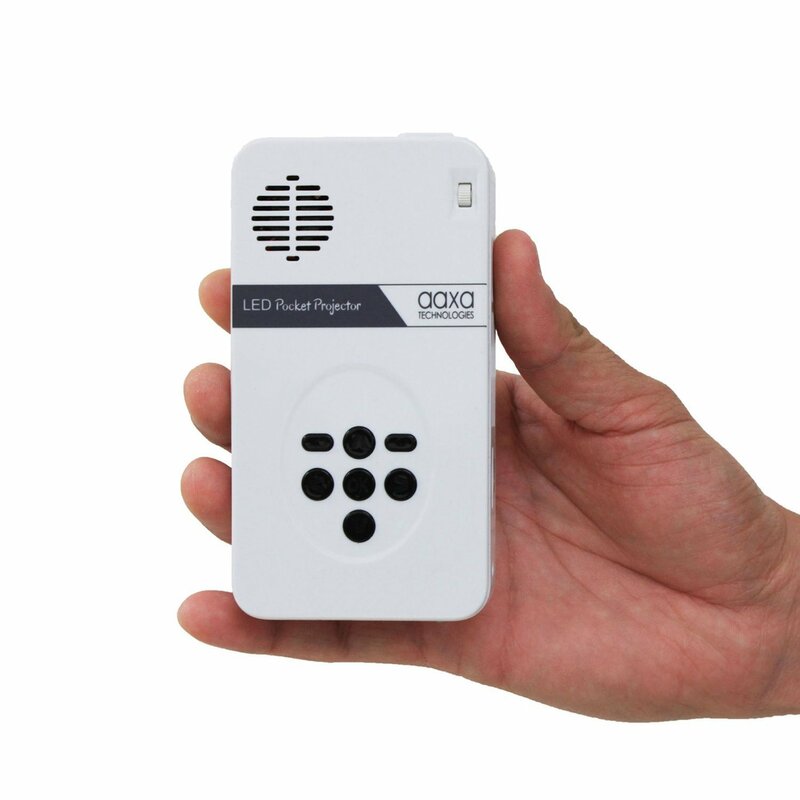 AAXA LED Pico Micro Video Projector is made in a portable and pocket size and it also comes with a built-in rechargeable battery. 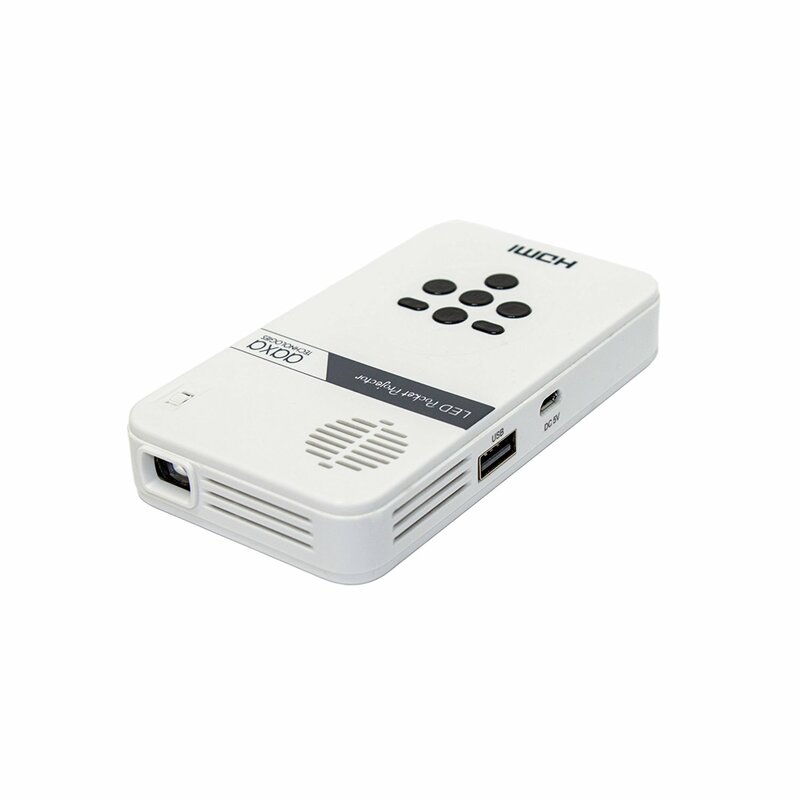 You can charge the built-in projector battery using a micro USB cable. 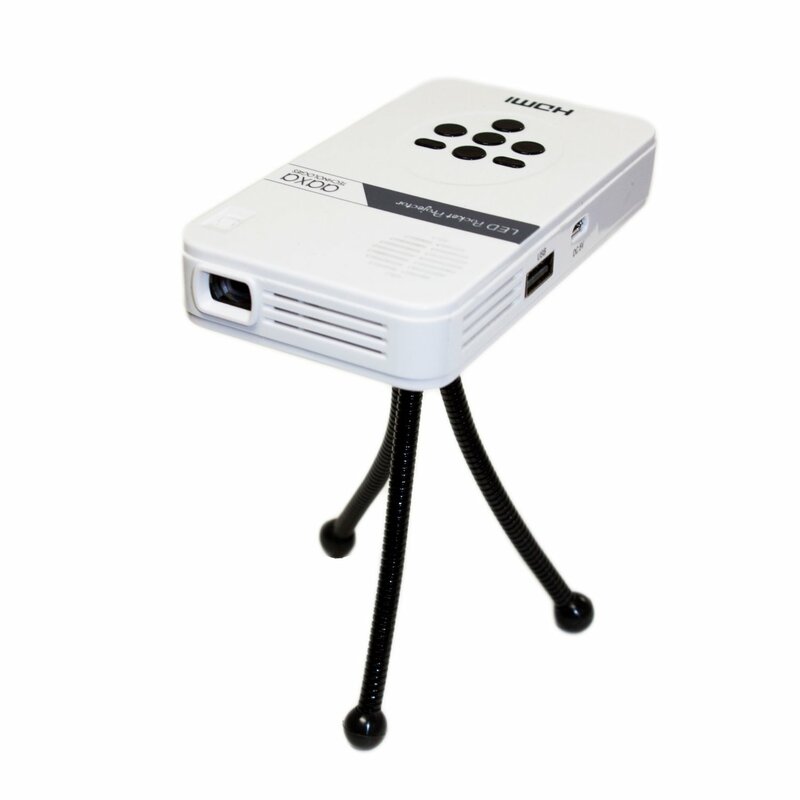 So it is really a good projector to deliver uninterrupted entertainment anywhere and anytime you want. It has 25 lumens brightness, HD 960 X 540 native resolution and it uses vibrant color technology with 15,000 hours LEDs. 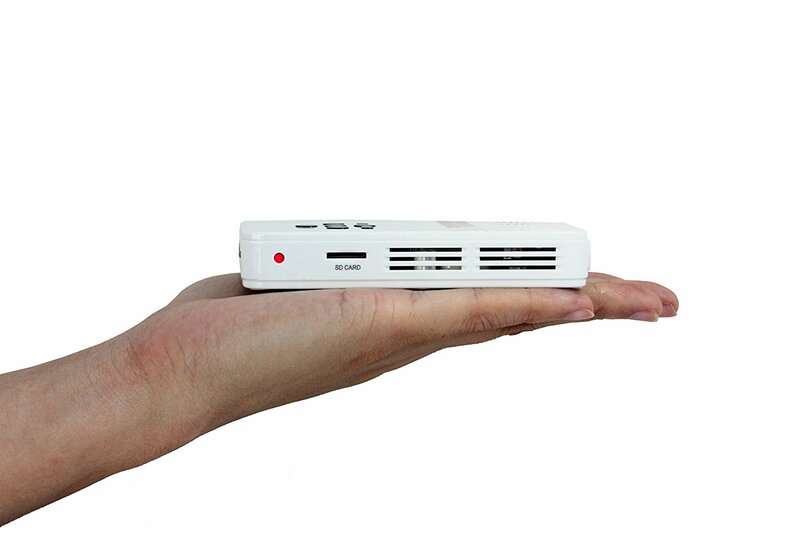 AAXA LED Pico Micro Video Projector has built-in speakers, 16:9 compatibility, mini HDMI port, 3.5mm Aux Audio output, composite AV connections and micro SD and USB readers for media playback.